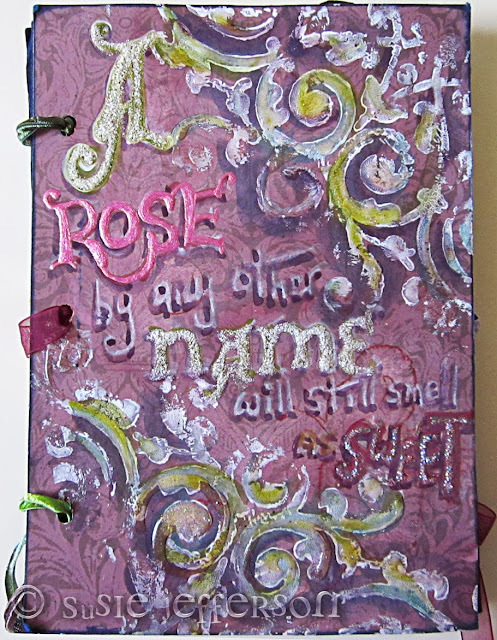 Front cover of Rose Journal - I hand-drew the 'Rose' lettering then filled in with Lumiere paint for a raised surface. The 'name' word was filled in with Glossy Accents and covered in glitter! 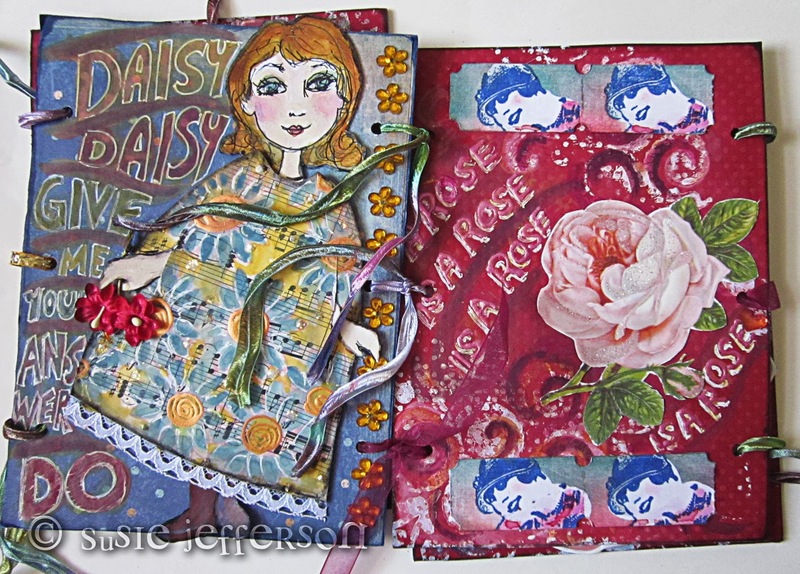 Here are some pages from my Rose Journal - all hand-lettered and hand drawn, too. 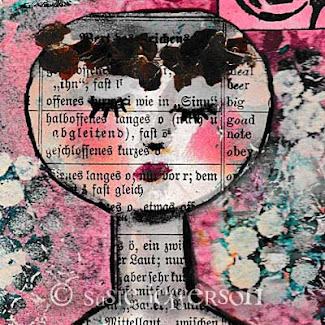 It's a little on the cute side as, for some reason, I seem to draw cute although I tend to collage more in the vintage style. Two of the centre pages. This is a concertina journal, with each page linked separately, so I've used a variety of ribbons, tape, string etc to tie the pages together. 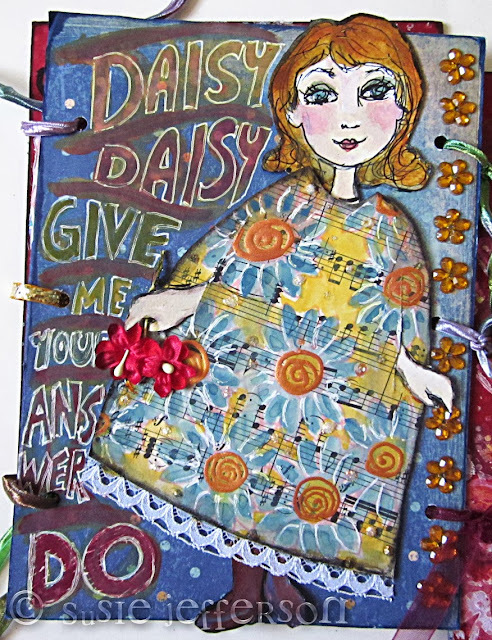 Closeup of the Girlie page - I drew the head, hands and feet on watercolour paper and painted them - then drew a dress shape onto vintage sheet music. I painted everything with watercolours, then drew over the flower centres with a liner pen, giving a raised edge. The lace on the hem of the dress is real. I also added diamante 'gem' flowers down the right edge, and added some silk flowers too. This was a really fun journal - very quick to finish, very easy to make (no complicated stitching etc) which I recycled from a single cereal packet. The front and back panels made 4 pages, which linked up into a little concertina book of 8 pages. 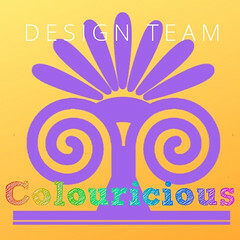 (More pix to follow). For anyone interested in having a go themselves, I have just finished a new bookbinding tutorial: Vintage Concertina Journal (now in my Etsy shop and available as an instant download). This is one book you can make and finish in a couple of afternoons!